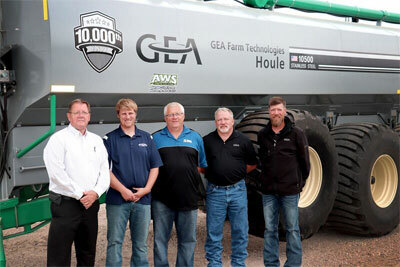 Milestone spreader finds home in Iowa at PK Winter Farms Inc.
GEA recently achieved a significant milestone in its company history by manufacturing its 10,000th liquid manure spreader tank. With a stainless steel reservoir capacity of 10,500 gallons, the EL48-8D 8800 is the biggest single reservoir model available on the market. The unit was sold by GEA dealer, Automated Waste Systems (AWS), LLC and delivered to PK Winter Farms Inc. in Sheldon, Iowa. GEA’s liquid manure spreader product line includes eight models with capacities to suit all sizes of livestock farms and manure hauling businesses. The EL48-8D 8800 is GEA’s largest model. The reservoir consists of 3/16-inch thick (5 mm) high-quality stainless steel, with internal baffles that limit the movement of liquid inside the reservoir during operation. The 8800 spreader can be outfitted with GEA’s latest innovation in the liquid manure spreader product line, the Hydraulic HE impeller drive. This optional feature allows for simple set-up of equipment and eliminates the risks created by the PTO rotation, since the spreader pump is activated by a hydraulic pump versus a PTO driveline. Built-in features include field proven power steering system, hydraulic suspension, and an advanced weight transfer system enabling the operator to shift the load toward the tractor by lifting the front axle of the spreader for increased traction, easier pull, and better fuel economy. For more information on GEA manure spreaders, contact your local GEA sales representative or visit gea.com. 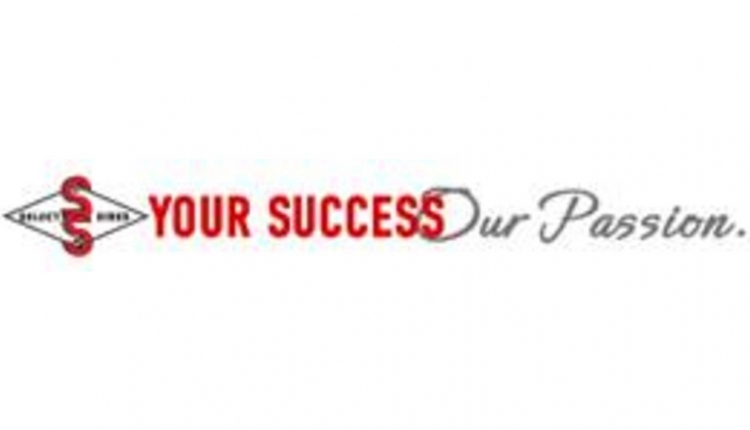 Founded in 1957 in Wickham, Quebec, Canada, J. Houle & Fils Inc. was acquired in April 2007 by WestfaliaSurge GmbH, an international leading manufacturer of milking equipment and a member of the GEA Group. Since 2015, the manure management product line is part of GEA’s milking and dairy farming product group and it is currently distributed in 22 countries through a large network of distributors who provide quality service and support for all GEA products.